Benin Republic!!! Models are you ready??? 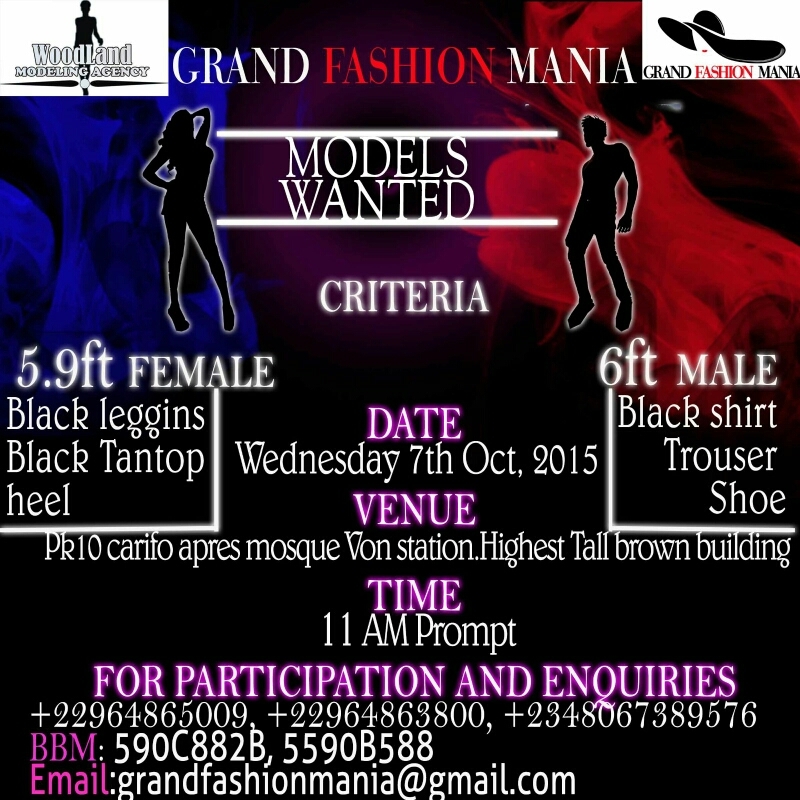 Grand Fashion Mania is set to get Benin Republic heated up. Venue: Pk10, carifu apres mosque, Von station, Highest Tall brown building, Pekadis Benin Republic..